If you are reading these lines, you are probably looking for a Bed & Breakfast, an holiday rental or a tree-house in Bergerac. You are at the right place! 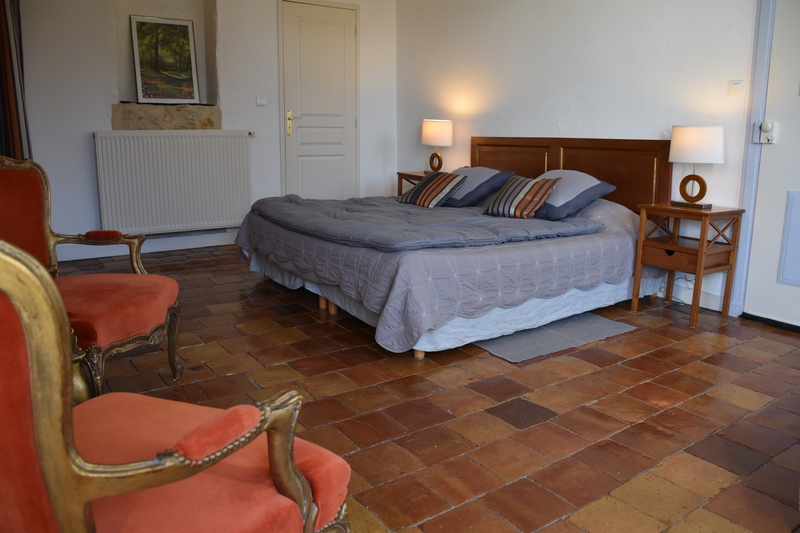 Just let us explain why Domaine de Bellevue Cottage could be an excellent place for your stay in Dordogne. Our names are Claire and Philippe. We own and run this guest house. This is our family house that we (partly) share with our guests. Before discovering the property, let us tell you where we are. The guest house is located in the countryside, in the small village of Lembras, in the middle of the Pecharmant vineyard. We are at only 10 minutes car driving from Bergerac down town. Here you will visit the historical center, find shops and restaurants and enjoy its famous market on Wednesday and Saturday morning. 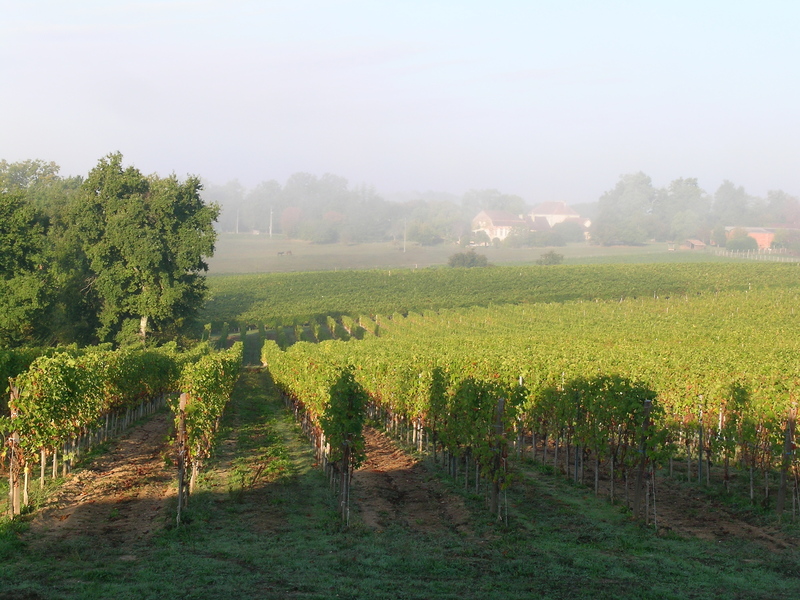 Besides, we are just half way to Sarlat and Saint Emilion. And Périgueux is only 45km from here. So an ideal place for discovering the Périgord but as well ideal to go to the seaside in Arcachon for one day. 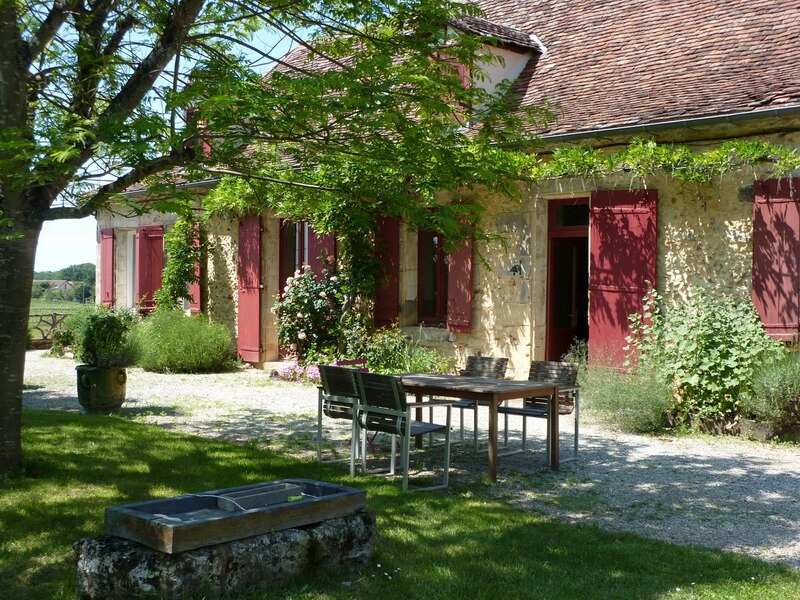 But Domaine de Bellevue Cottage is also an historical building more than 400 years old and full of character. 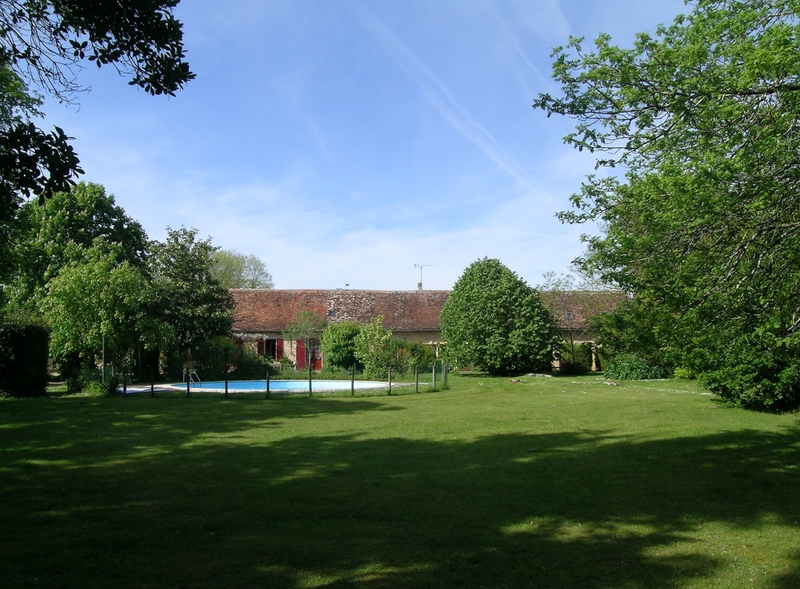 This typical Perigord house is surrounded by a green, woody and peaceful park of 3 hectares. On South side of the park, an original round swimming-pool will make you happy from May to September. On North side, if you are patient and silent, you may be able to watch the frogs of the pond from March up to June. So, if you are on the way to Spain or Portugal, choose a Bed & Breakfast. 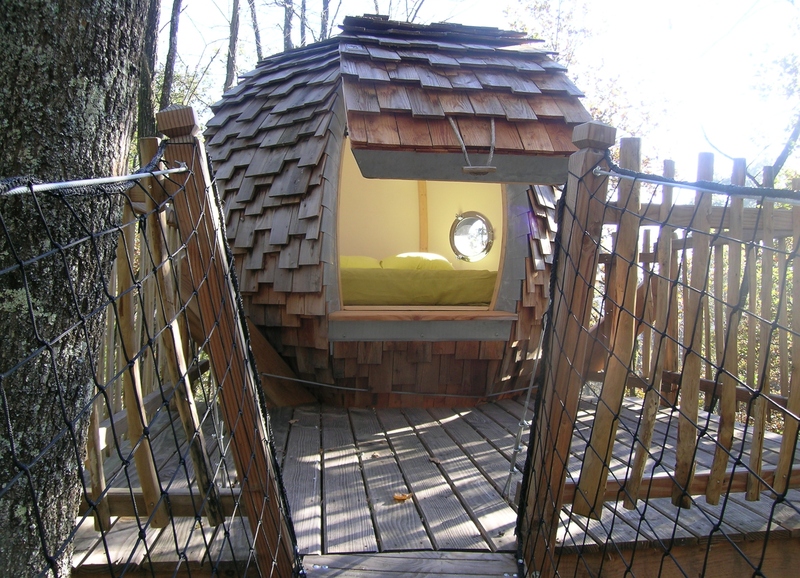 Prefer the tree-house is you are on your honeymoon. And on a business trip, with friends or in family, one of our holiday rental may be convenient. In any case, you are welcome all year long. Well, as you can see, we are sharing our house and our region. Be sure we will do our best to make your stay in Dordogne a pleasant moment ! Claire and Philippe, the owners. P.S. to get the best rates and best offers, book your room directly on this website. Du 20 au 22 avril 2019, rejoignez la concentration nationale cyclotourisme, “Pâques en Périgord” en Pays de Bergerac. Durant ce week-end, les cyclotouristes de tout l’hexagone sont invités à redécouvrir ou à découvrir Bergerac. Chaque jour, trois circuits de 60 à 120 km, vous conduiront dans le sud du département.